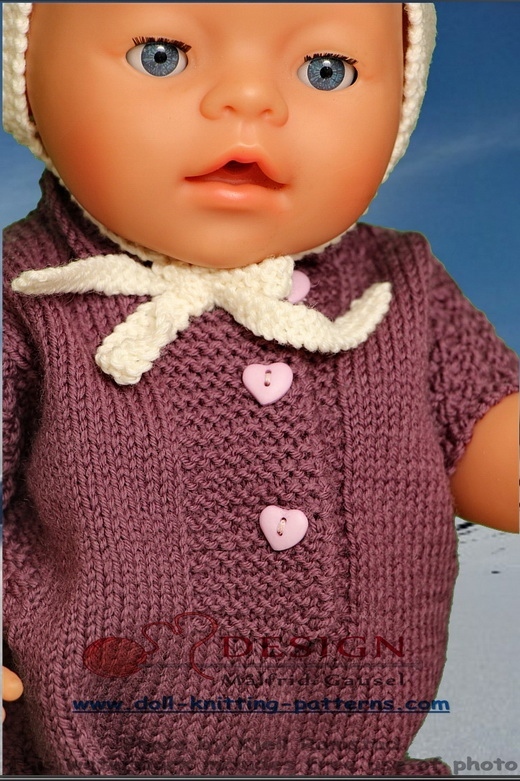 Many of you have asked me to design pattern for sweaters that is open and buttoned along the front. I found this little pattern for children from the fifties. 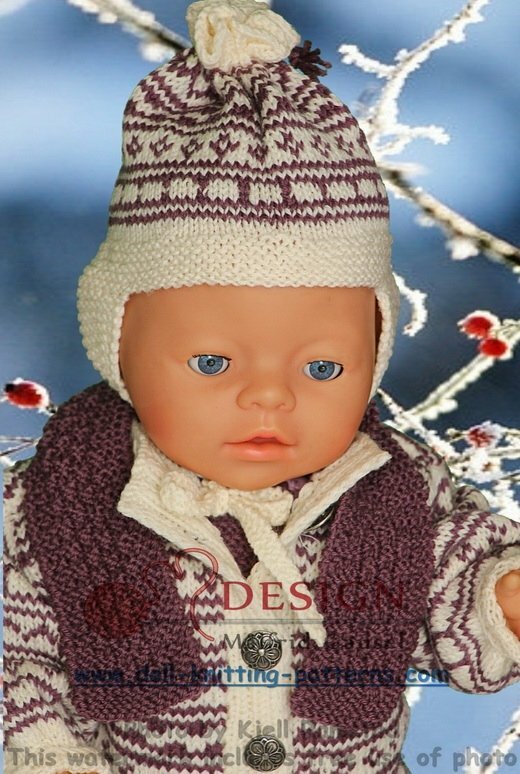 I have used this pattern for a garment in my first book. 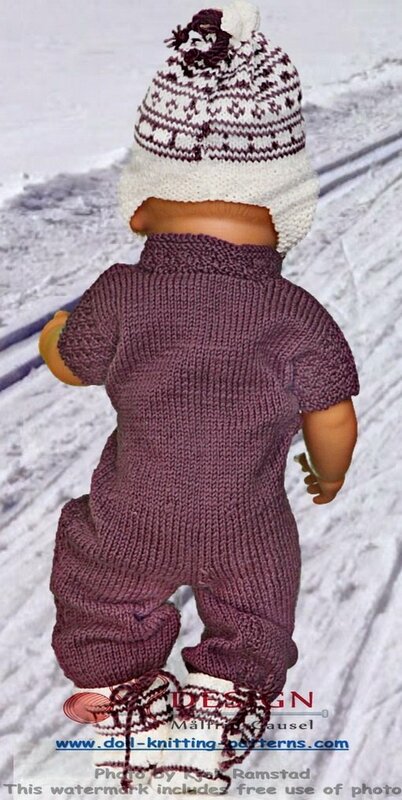 There knitted without an opening along the front. This pattern is small, simple, and very nice to use for doll clothes. I found this little pattern for children from the fifties. 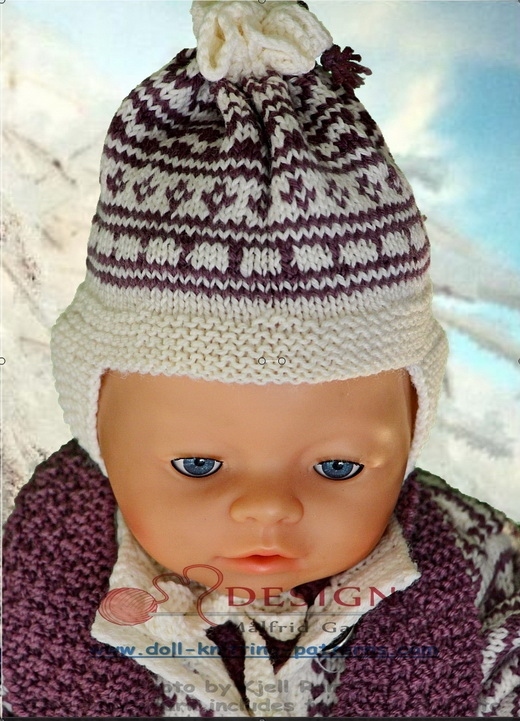 ... knitted the garment in white and lilac. 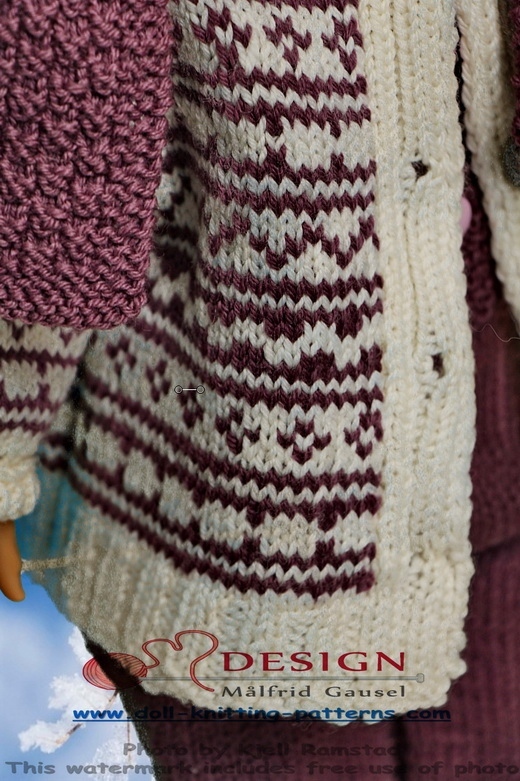 The cardigan sweater is lovely and warm. I bought some very small sweater buttons, which fit well to this sweater. 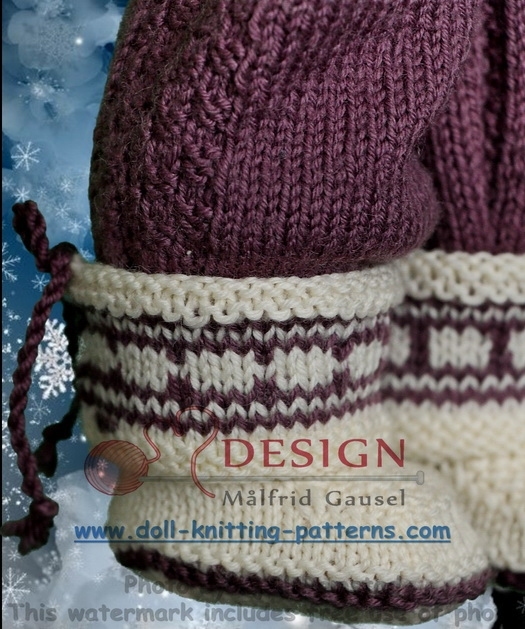 I have used this pattern for a garment in my first book. ... is nice in the cap without earflaps though. 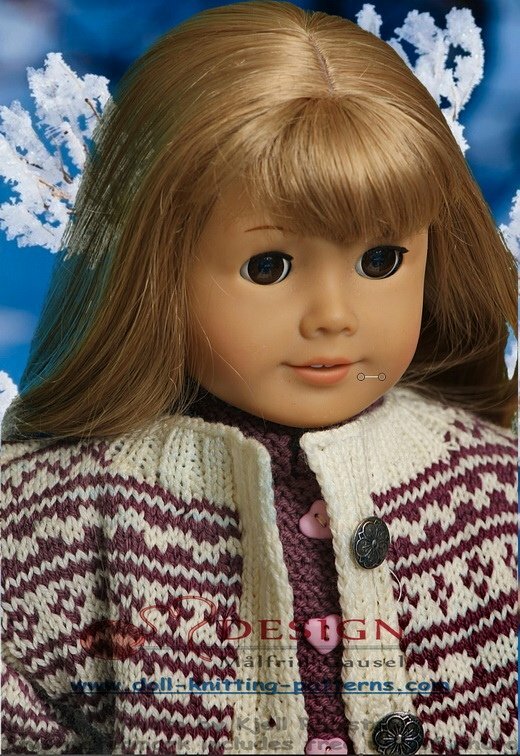 ...dress to wear inside the house or to wear under the sweater when it is cold outside. 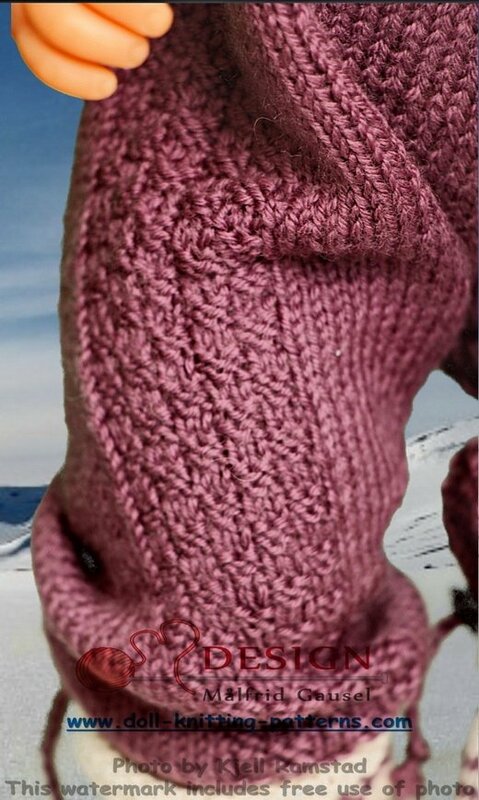 The shoes are knitted with a little pattern round the legs. Nice accessories to his garment I think! 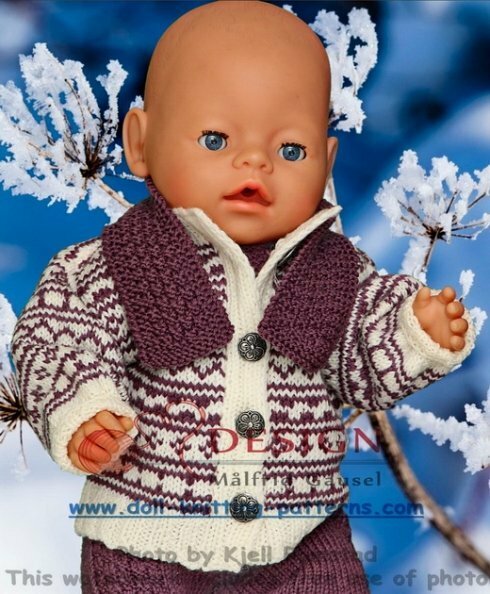 I like this doll knitting sweater pattern and hope you too will like to knit these clothes for your doll! The shoes are knitted with a little pattern round the legs. 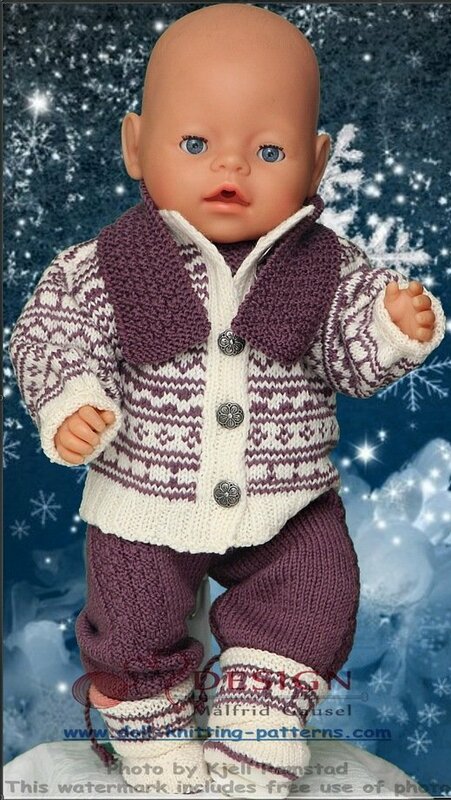 I hope you too will like to knit these clothes for your doll!